"From Prelude to Gettysburg Address"
Abraham Lincoln and the Gettysburg Address. Abraham Lincoln, center, at the dedication of the Soldiers' National Cemetery in Gettysburg, Pennsylvania, on November 19, 1863. Made from the original glass plate negative at the National Archives which had lain unidentified for fifty-five years until 1952 when Josephine Cobb recognized Lincoln in the image. To Lincoln's right is bodyguard Ward Hill Lamon, while to his far left is Governor Andrew G. Curtin of Pennsylvania. 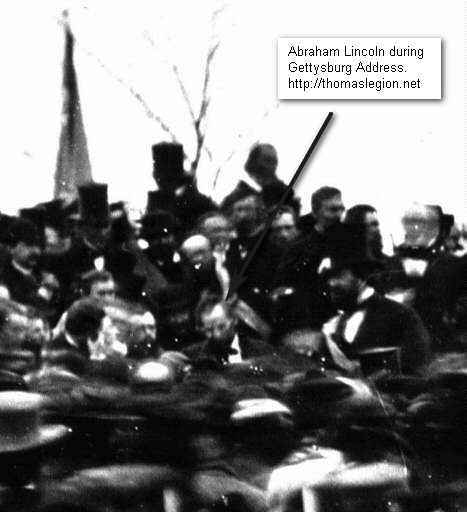 The photograph is estimated to have been taken at about noontime, just after Lincoln arrived, before Edward Everett's arrival and about three hours before Lincoln gave his famous Gettysburg Address. After nearly 51,000 Americans fell on the fields of Gettysburg in early July of 1863, Abraham Lincoln received an invitation in November to speak at the dedication of the Soldiers' National Cemetery in Gettysburg. After the initial speaker delivered an exhaustive oration of words over two hours, Lincoln, would speak for two minutes, and having said so few words over so little time, the President would quickly deem his short address as an absolute failure. But the contrary had occurred, because his short speech quickly became known as the Gettysburg Address and was splashed over the pages of nation's newspapers as a people were longing for an ounce of hope during a tumultuous time of dearth. A sermon doesn't have to be everlasting to reach the eternal, it has been said. Abraham Lincoln, in merely ten sentences, did more to bind the wounds of the hurting and to encourage a nation that was faltering, than perhaps all his other speeches, debates, and comments combined. His Address may have been the inspiration for the short sermon comment as well as the masses who have looked toward Lincoln's handful of sentences as they too addressed their audiences. These Grounds will be Consecrated and set apart to this Sacred purpose, by appropriate Ceremonies, on Thursday, the 19th instant. Hon Edward Everett will deliver the Oration. We hope you will be able to be present to perform this last solemn act to the Soldiers dead on this Battle Field. 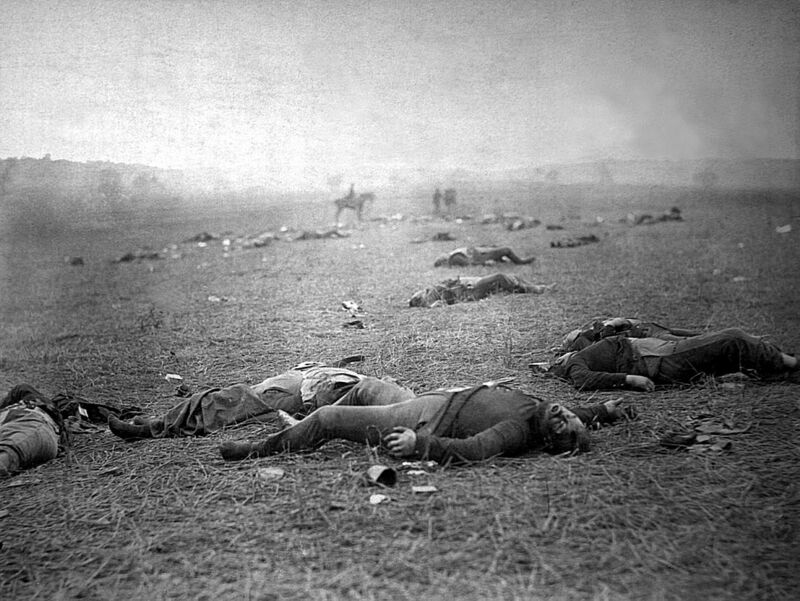 Lincoln spoke for only a few minutes and was able to summarize his view of the war in just ten sentences. Gettysburg Address is a speech by President Abraham Lincoln and is considered one of the best-known in American history. It was delivered by Lincoln during the American Civil War, on the afternoon of Thursday, November 19, 1863, at the dedication of the Soldiers' National Cemetery in Gettysburg, Pennsylvania. Sources: Library of Congress; National Archives; National Park Service; Official Records of the Union and Confederate Armies.